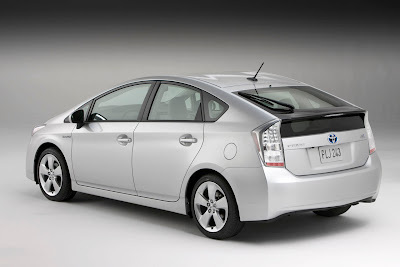 You hardly need a car alarm if you drive a Prius. That's the conclusion of a new vehicle theft study from the Highway Loss Data Institute (HLDI). According to the report, thieves are after "chrome, horsepower, and HEMIs," but not "sedate family cars and fuel-sippers." HLDI's report calculates the vehicles with the highest insurance claims for theft by taking into account the rate at which insurance claims are filed as well as the size of the payments. Unsurprisingly, the rap song-worthy Escalade is the most stolen car--one out of every 100 are swiped by thieves. Other popular targets include the Hummer, Corvette, and GMC Yukon. Meanwhile, the Prius gets left behind--and that's a good thing. Toyota's bestselling hybrid gets stolen at a rate that's less than 15% of the average. It joins the Toyota Sienna, Toyota Tacoma, Saturn VUE, and Honda Pilot on the list of 10 vehicles with the lowest rates of insurance claims for theft. The idea of buying hybrids just to deter thieves won't hold true for long. Luxury car makers are rolling out dozens of hybrids and all-electric vehicles in the next few years. Flashy fuel-efficient cars will undoubtedly become targets for theft. Fully electric vehicles, meanwhile, are uncharted territory. Are thieves more or less likely to make off with a pricey EV, since they can't fill 'er up at a gas station? Would a network of easy charging electric stations create more car crime, or deter it? Better fit a car alarm to that new Tesla Roadster, just in case. I am very much interested in adding http://electric-vehicles-cars-bikes.blogspot.com/ in my blog http://nasa-satellites.blogspot.com/ . I'm surprised people actually buy cars like the Escalade. It being popular is beyond my comprehension. Its a big ugly heap of a fuel gobbler. US people are so wasteful, especially with cars. I hardly ever see an SUV here.